Swaziland is a member of the Paris Convention, ARIPO (Banjul Protocol), the Madrid Agreement and Protocol, and the WTO/TRIPS. Although Swaziland is a member of ARIPO (Banjul Protocol) and the Madrid Agreement and Protocol, Swaziland does not yet have enabling legislation. The relevant provisions to implement these filing systems are, therefore, not yet in place. However, it is possible that ARIPO applications designating Swaziland will be recognised, as would be applications under the Madrid Agreement and/or Protocol designating Swaziland. The Act provides for the protection of marks, including a series of marks and parts of marks. The 1997 Act is not yet in force as it is still awaiting parliamentary approval and implementing regulations. This chapter is therefore based on the provision of the 1955 Proclamation. Swaziland is a member of the Paris Convention, ARIPO (Harare Protocol), the PCT and the WTO/TRIPS. Swaziland has not yet implemented the Harare Protocol (which regulates patent and design filings in ARIPO) in its national law, and the current national law does not provide for filings under the PCT and for priority claims. Accordingly, although Swaziland is a member of ARIPO, it seems that patents registered via an ARIPO application designating Swaziland may not be recognised. Furthermore, it is not possible to file a PCT national phase application, or a convention or non-convention application directly in Swaziland. At present, therefore, patent protection is available by way of the extension of a United Kingdom granted patent, and the registration of a South African granted patent, while the validity of an application via ARIPO is uncertain. The 1997 Act, which is not yet in operation, provides for ARIPO applications designating Swaziland. Although the Act refers to the PCT, there are no specific provisions for PCT applications. Swaziland is a member of the Paris Convention, ARIPO (Harare Protocol), and the WTO/TRIPS. Design protection is available by the automatic extension of a United Kingdom registered design, or by way of the registration of a South African registered design. Although Swaziland is a member of ARIPO (Harare Protocol), it has not yet implemented the Harare Protocol in its national law. Therefore, it is not clear whether a design registered via ARIPO and designating Swaziland will be recognised in Swaziland. As indicated above, the 1997 Act (which is not yet in operation) provides for ARIPO applications. 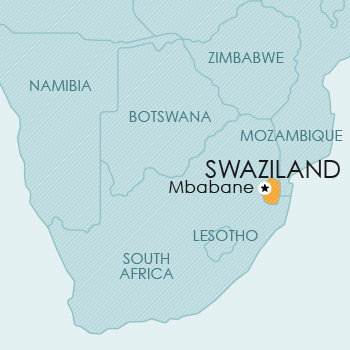 Swaziland is a member of the Berne Convention. In Swaziland, the copyright law is antiquated and as such does not contain express provisions in respect of works such as computer programs. The Act provides for copyright to subsist in every original literary, dramatic, musical and artistic work. A literary work is defined to include maps, charts, plans, tables and compilations. Dramatic works are defined to include any piece of recitation, choreographic work, or entertainment in dumb show, and any cinematograph production where the arrangement or acting or the combination of incidents give the work an original character. An artistic work is defined to include works of painting, drawing, sculpture and artistic craftsmanship, architectural works, engravings, photographs. Currently, no legislative provision for plant breeders’ rights or other sui generis protection for plants is available in Swaziland.